Hi everyone! Welcome to this weeks features. I'm delighted to share a few of the great posts that linked up at Real Family Fun #24 last week. First up this week is this fantastic and oh so fun idea from Pint Sized Treasures. 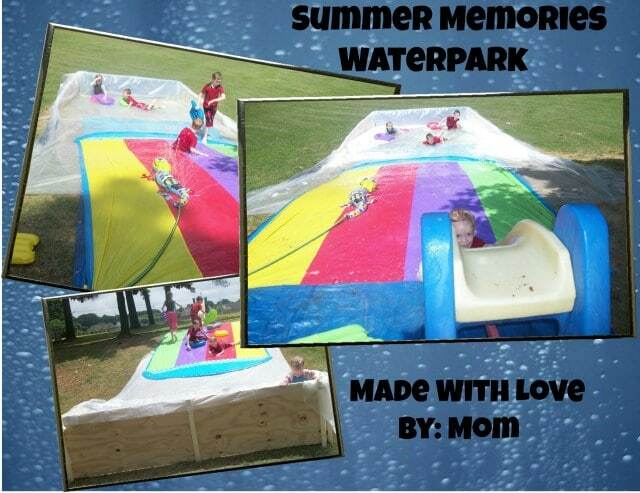 She made Summer Fun on a Budget – Mommy's Water Park! Could this be more fun? 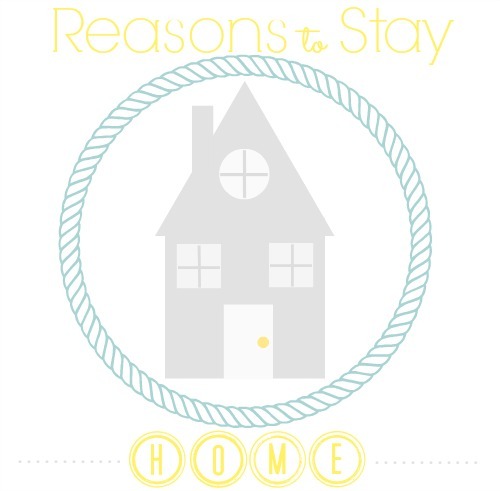 Next up, Blissful Roots shared about Finding Reasons to Stay at Home. As an at home mom on a budget, I so agree with her reasons why sometimes it is just better to stay home instead of head out and about for the day. 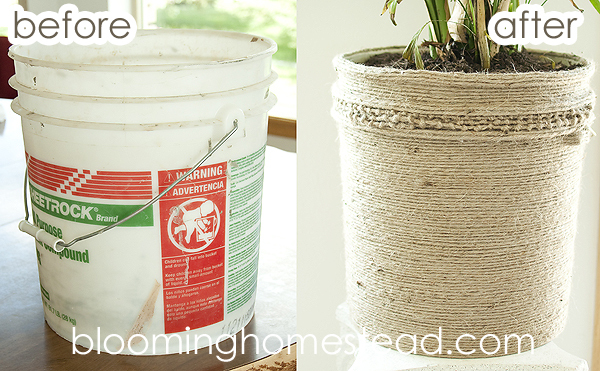 I'm loving this gorgeous DIY Jute Bucket Makeover from Blooming Homestead. It looks so fantastic…if I hadn't seen the before I never would have guessed it was a bucket. She has a great tutorial so you can make your own. I don't know about you, but I love just about anything that uses a mason jar. They are so cute. Family Home and Life made this great Mason Jar Tote to hold her silverware, napkins and straws. I bet it looks really great on the dinner table. this adorable and super simple to make Washi Tape Bunting from Laura's Crafty Life. 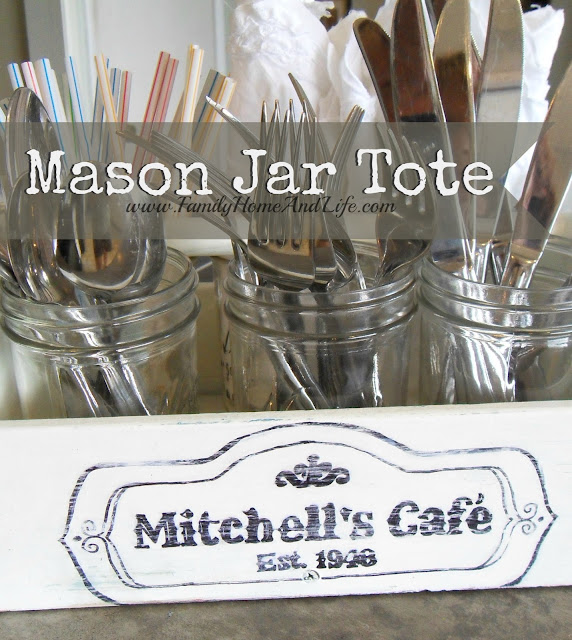 Thank you for featuring my Mason Jar Tote! 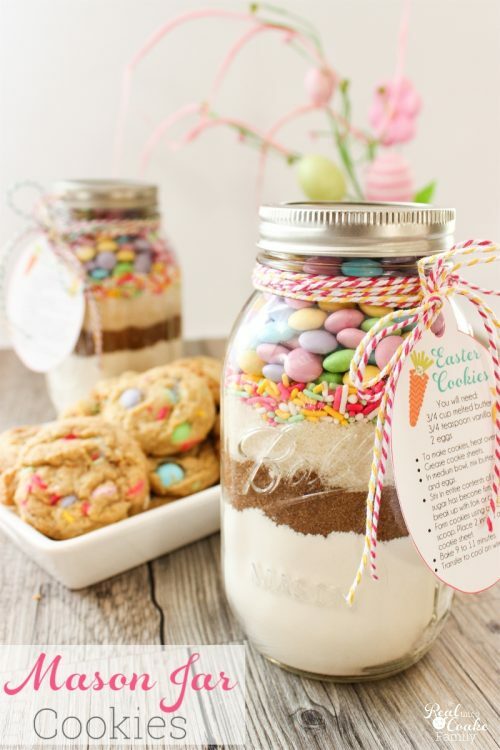 Yup, I love all things Mason Jars too :)! Your so welcome! It is so cute! I’m working on a Mason Jar craft tonight…oh la la!